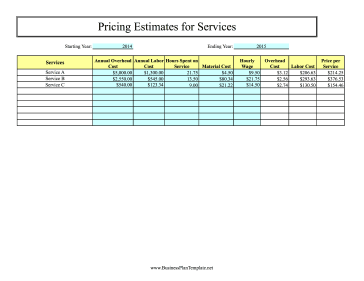 Estimate the ideal price to charge for a service with this pricing calculator that includes overhead, labor, wages, and hours worked. Covers one year. Users fill in the blue boxes; the rest is calculated automatically.